At the very Southern edge of France, nestled between the Pyrenees mountains and the Mediterranean sea, lies a wine region of great potential. Once known for only Vin Doux Naturels and red "plonk", both the Cotes du Rousillon and Languedoc AOPs have garnered attention from elite winemakers including M. Chapoutier and Gerard Bertrand. Dry red wines found within these regions are showing incredible structure, depth and intensity that are comparable in quality to some of their Southern Rhone neighbors. I spent the month of May tasting wines from both Cotes du Rousillon, the Languedoc and Corbieres and I was not disappointed! The Cotes du Rousillon AOP runs from just north of the town of Perpignan, France, to the Spanish border. A hot, dry climate is found here as the sun shines approximately 320 days of the year. Low yielding Grenache bush vines dominate the vineyards, along with plantings of Syrah, Mourvedre, Carignan and Cinsault for the red wine blends. The black schist soil is one of the factors that has attracted the attention of winemakers around the world, creating age worthy red wines with power, complexity and structure. 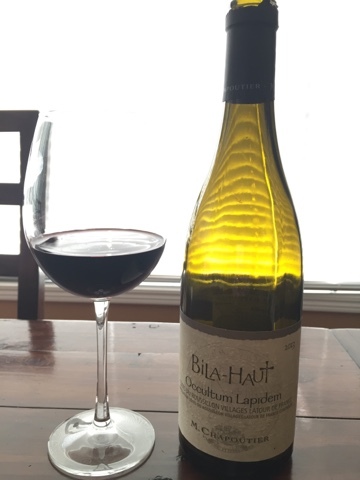 M. Chapoutier's 2013 Bila-Haut Occultum Lapidem, meaning "A Secret" in Latin, really reflects the complexity and power of the Cotes du Rousillon Villages with ever-evolving flavors of plum, black fruit, leather, tobacco leaf and licorice. Velvety tannins and mouthwatering acidity combine to create a well structured, expressive blend of Syrah, Grenache and Carignan. This beauty is drinking well now, but could gain even more depth with 3-5 years of cellar aging. 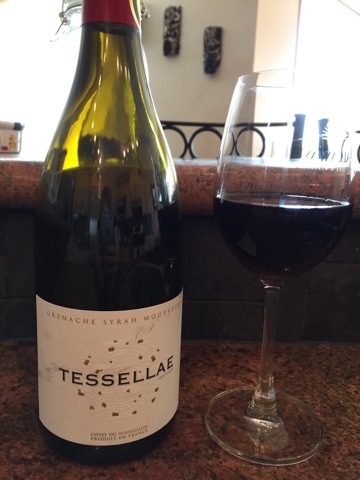 The 2013 Tessellae Old Vine blend from Domaine Lafage (on page 27 of the link) casts a flavor profile of ripe red cherries, dried oregano and a lovely hint of baking spice on the finish. The high acidity establishes a strong backbone that the plush tannins are able to mesh with. This wine is extremely food friendly and would pair well with grilled meats and poultry. Composed of 40% Grenache, 40% Syrah and 20% Mourvedre. East of Rousillon lies AOP Corbieres. Although the region is known for its extreme summers and rugged mountainous terrain, a wide variety of soil types are found here: limestone, schist, and clay among others. This helps to create full-bodied wines that marry well with foood. 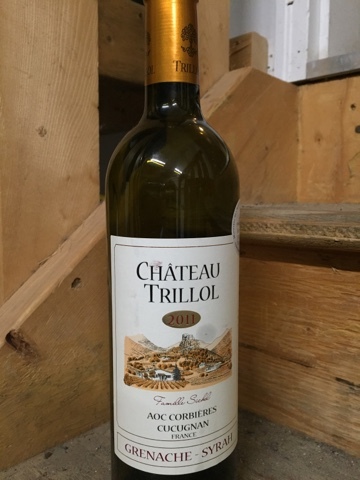 Chateau Trillol is located in Corbieres and is owned by the notable Sichel family of France. Their 2011 offering is deep ruby in colour with concentrated notes of raspberry, cherries, resin and black pepper on the palate. A well structured blend of 60% Grenache and 40% Syrah, encompassing fine tannins and sharp acidity into the full body. A lovely pairing with cheddar cheese. 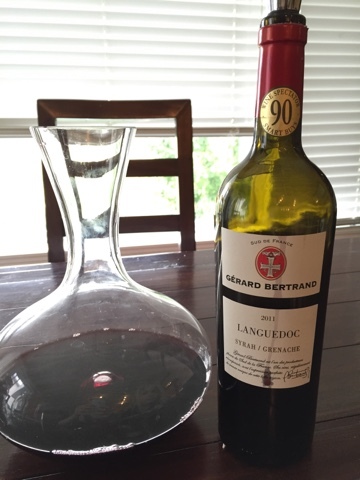 Finally, Gerard Bertrand's 2011 Grenache Syrah AOP Languedoc features racy acidity balanced to well integrated tannins amidst a flavour profile of strawberries, cranberries and charcoal. A bright, cherry medicinal finish rounds out the palate. Decant for 45 minutes before enjoying to allow the red fruit flavours to shine. Each of these wines range in price from $20-$30 CDN, making them a great value. All four of these beauties reflected the intensity gained from the schist soil and favourable climate for Grenache, Syrah and other southern French varietals. Now that the Cotes du Rousillon and Languedoc regions are gaining attention from noticeable producers, it's time wine lovers taste these gems for themselves! Cheers!